[New Map] Patch 1.0: Enter The Dragon's Eye! Upcoming update 'Patch 1.0' is going to be our full release out of early access! 'The Dragon's Eye' is another new environment that all players will be able to play on. 'The Dragon's Eye' is located in the same region as the legendary dragon 'Amphiptere!' Legend tells that this creature roams this realm looking for a worthy challenger, very few mages have ever return to tell the tale. 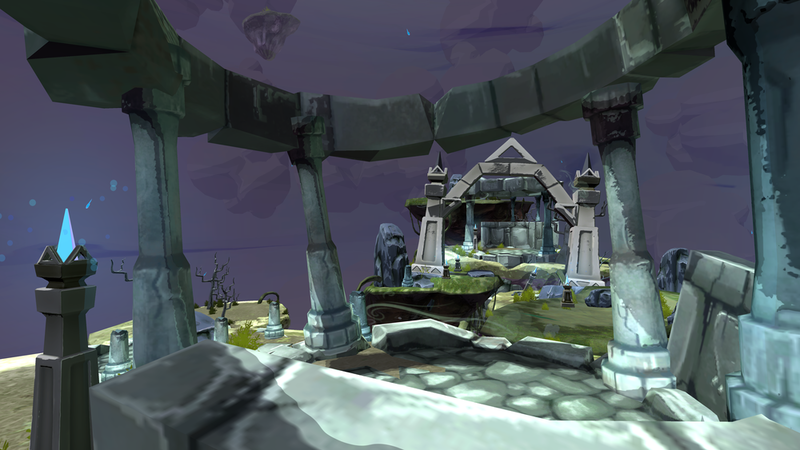 Inspired by the many ruins in Greece and the countless floating realms, we hope that players will them selves immersed in the beautiful architecture! While the ruins look almost unscathed for thousands of years, do not let the gorgeous architecture distract you from battle! 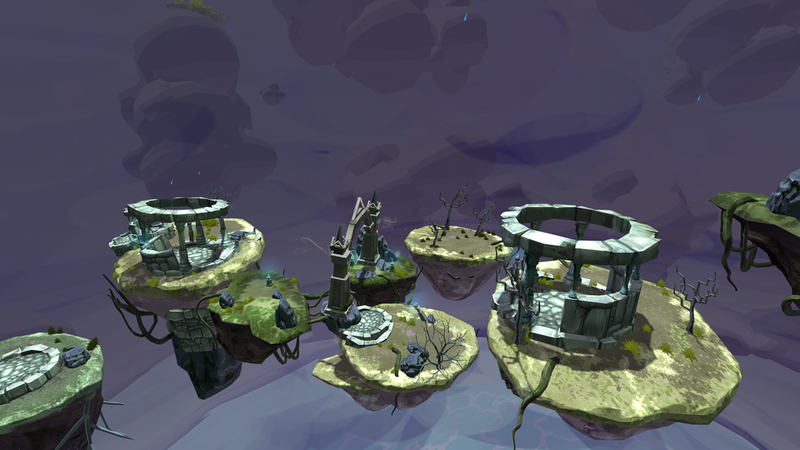 The floating platforms on this map will make it increasingly difficult to curve and bounce your spells! Additionally, we have extended the distance between each of the player spawns, this small change will make it more difficult to hit your target. Mages, we hope that you will find a way to take advantage of this! One last thing, don't fall off the platforms! 'The Dragon's Eye' will be available to all players in our update 'Patch 1.0' which will arrive soon! Patch 1.0 new map: Welcome to the Arena!